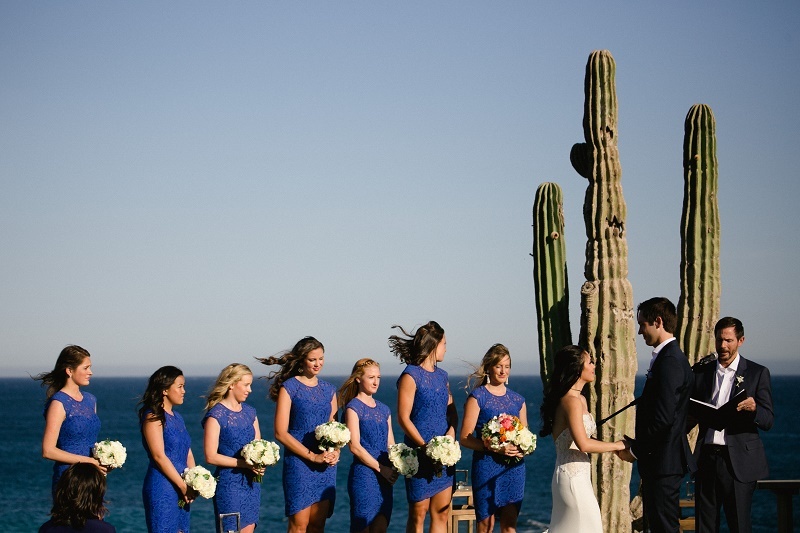 THE BEAUTY OF A BAJA WEDDING is, well, the beauty of Baja! 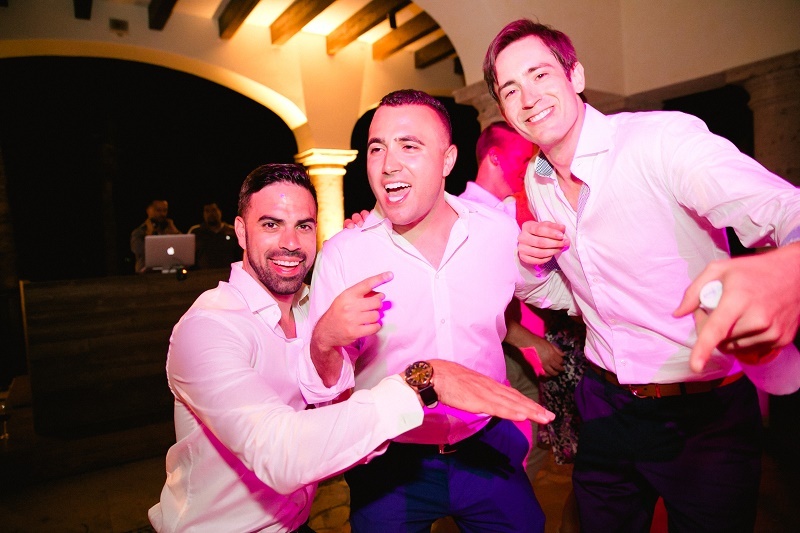 We know our clients are coming to Los Cabos, Mexico for its incomparable natural settings, luxurious hotel accommodations and breathtaking romantic scenery. 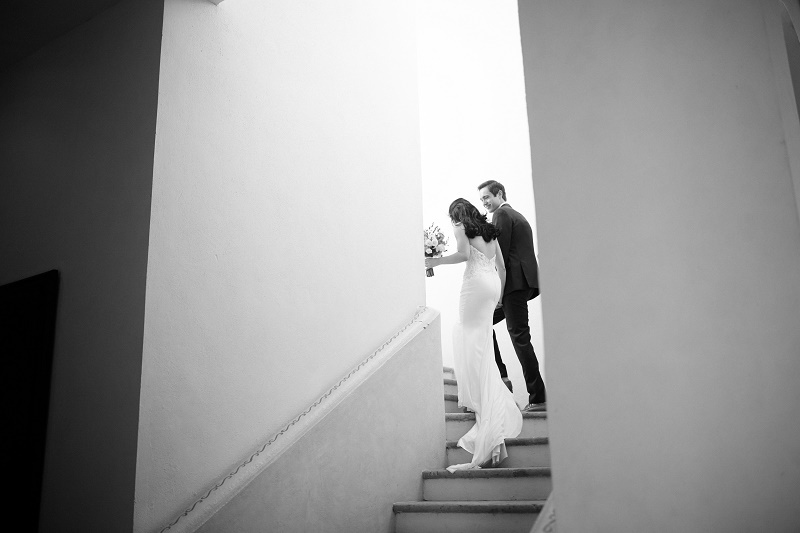 But for many of our brides and grooms, a large luxury hotel is too public for their intimate destination wedding. 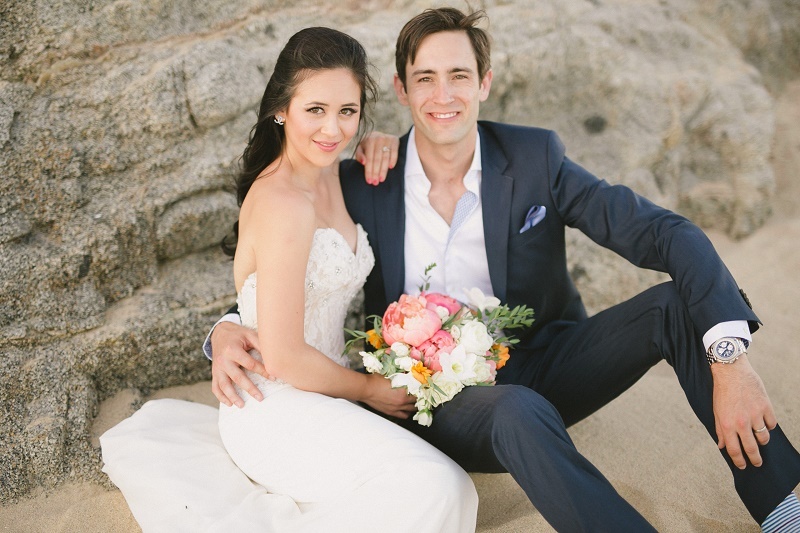 Some of our couples, like Alanna and Garret pictured here, choose instead to celebrate their wedding at an exclusive clubhouse or private villa. 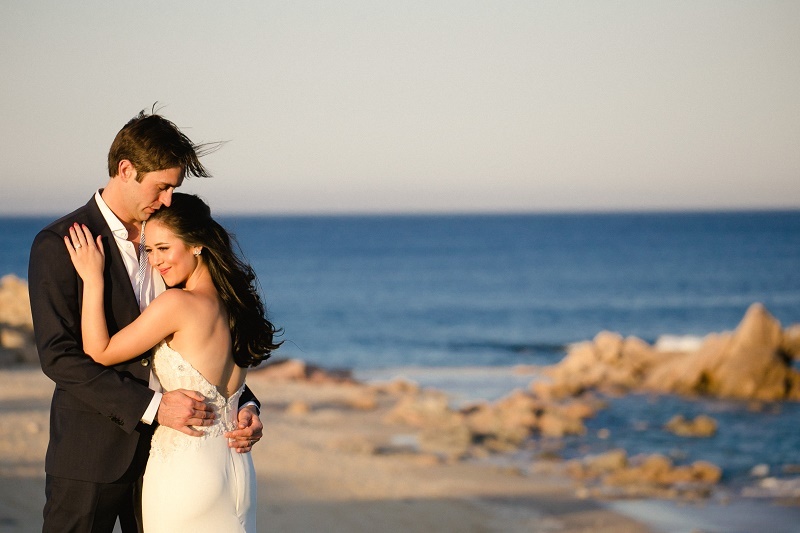 Lucky for us and for them, there are some wonderful options to choose from here in Cabo, each unique in its own way. 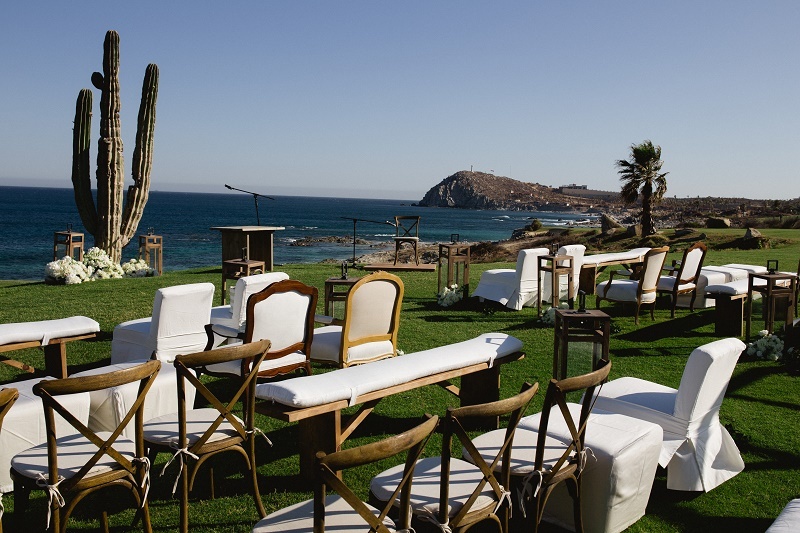 For instance, the premier golf resort community of Cabo del Sol is located along the corridor between Cabo San Lucas and San Jose del Cabo, and has some of the most gorgeous panoramic views of the Sea of Cortez you’ll ever see here in Baja. 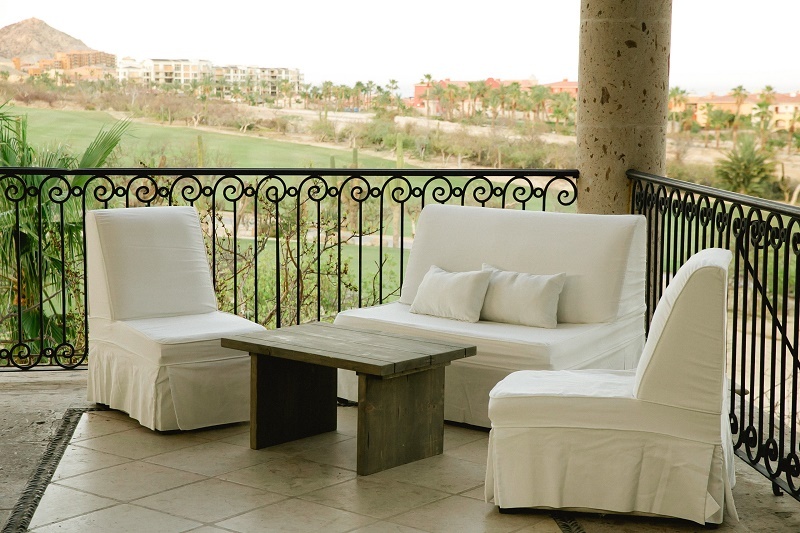 The resort also offers private suites and secluded villa rentals with all the benefits and services of a larger hotel. 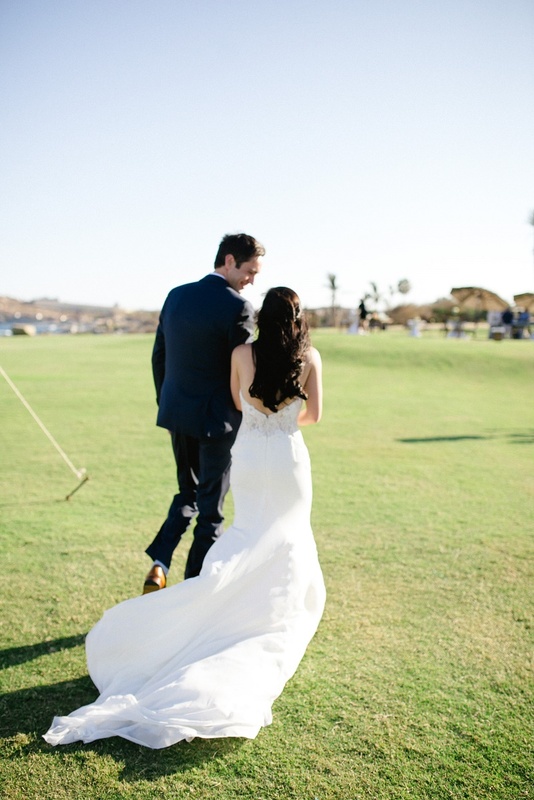 Cabo del Sol is, in fact, the best of both worlds. 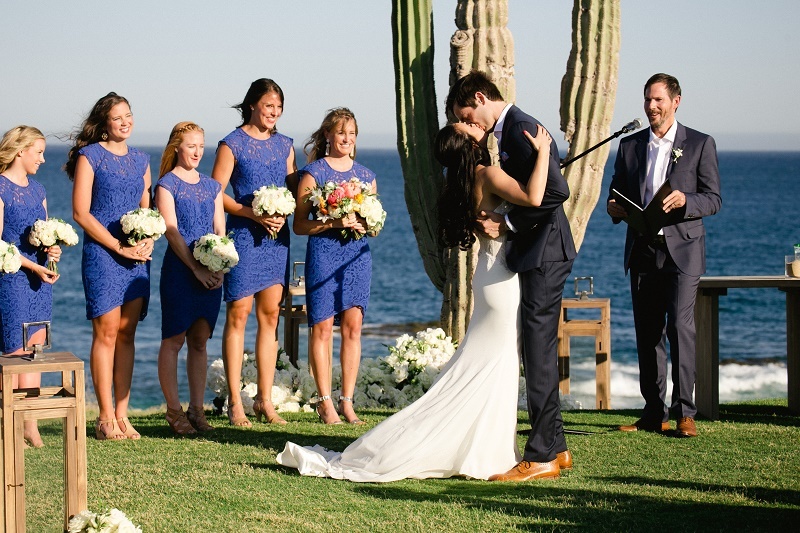 OF COURSE, IT WAS NO SURPRISE to learn that Alanna and Garret fell in love with the traditional Mexican architecture and oceanfront setting of the Clubhouse at Cabo del Sol. 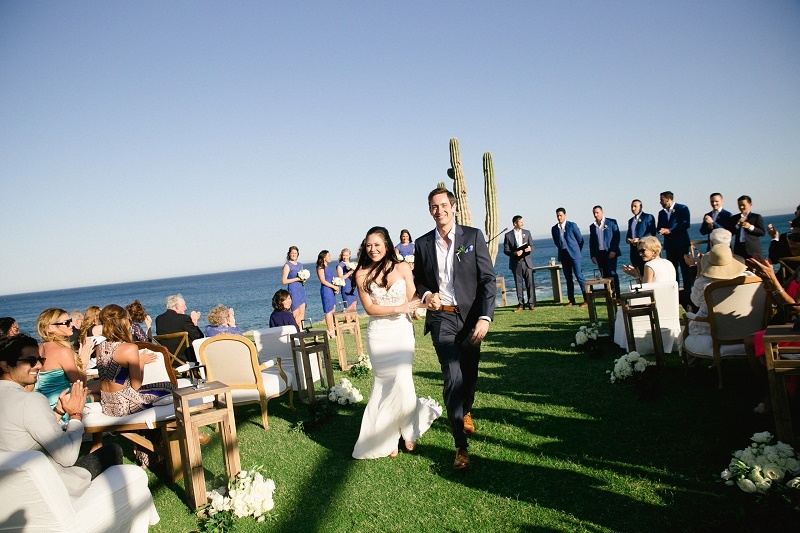 As their wedding planners and event designers, we were thrilled to hear they chose Cabo del Sol as in addition to the privacy, the Clubhouse’s rolling, oceanfront golf course greens work perfectly for a dramatic wedding ceremony. 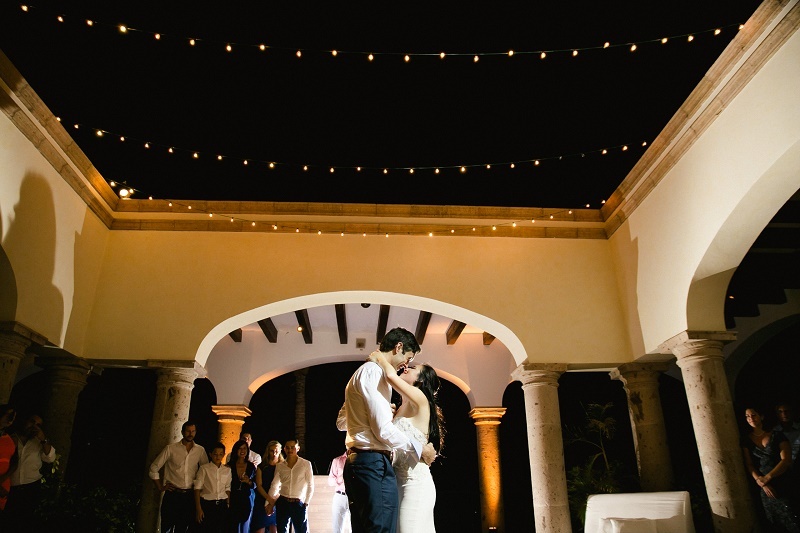 Even the landscaping, with its giant saguaro cacti, swaying palm trees and melodic courtyard fountains welcome you with the warmth of a Mexican hacienda! 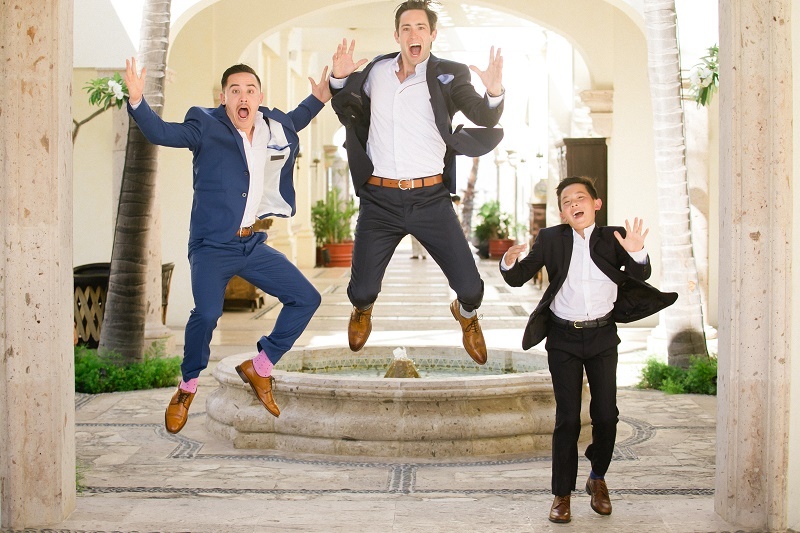 Add to that the joy, love and laughter of a festive family wedding and its an unforgettable experience on every level. 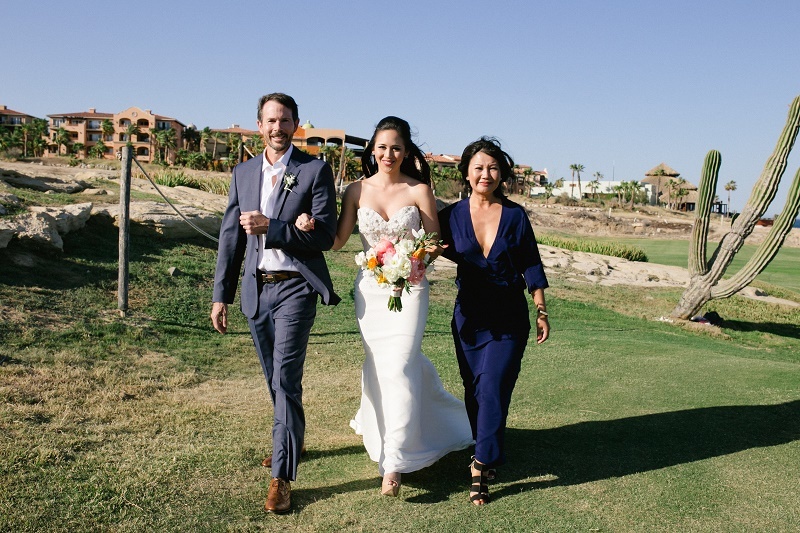 Planned to perfection by our own in house wedding planner extraordinaire, Claudia Morales!, we invite you to join us as we revisit Alanna and Garret’s stunning wedding day as told through these amazing photos from our friends at Chris+Lynn Photographers. 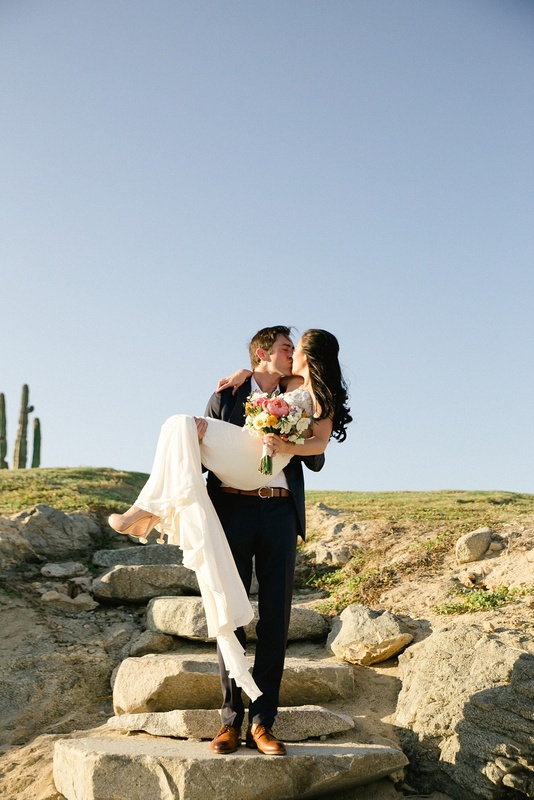 OUR PRETTY AND PETITE BRIDE was a stunner in her strapless wedding gown and mile high pale pink shoes! Photogenic too as you can see. 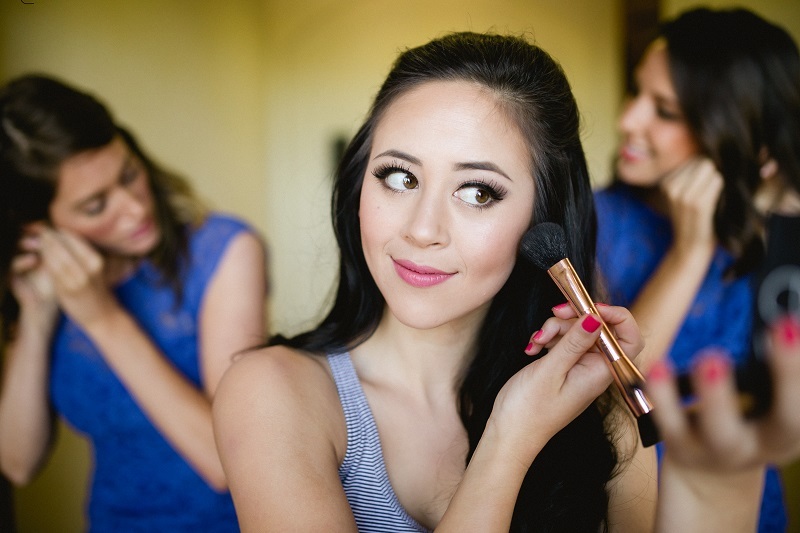 These photos of Alanna dressing with the help of her beautiful mother and lovely bridesmaids are some of our favorites in the whole day of celebration. Alanna is glowing with happiness! 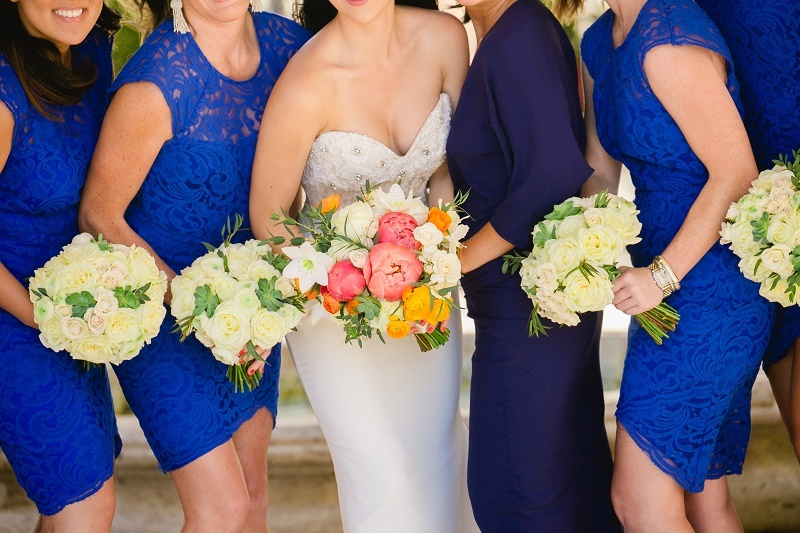 Her bridesmaids wore short royal blue lace dresses that echoed the bright blue of the ocean setting. 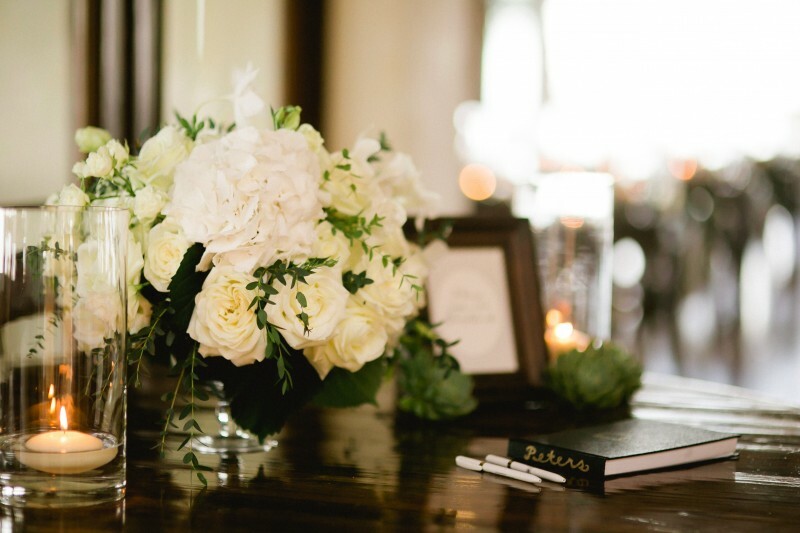 Each bridesmaid carried a hand-tied bouquet of creamy garden roses, white spray roses and locally grown succulents. THIS GROUP HUG SAYS IT ALL. 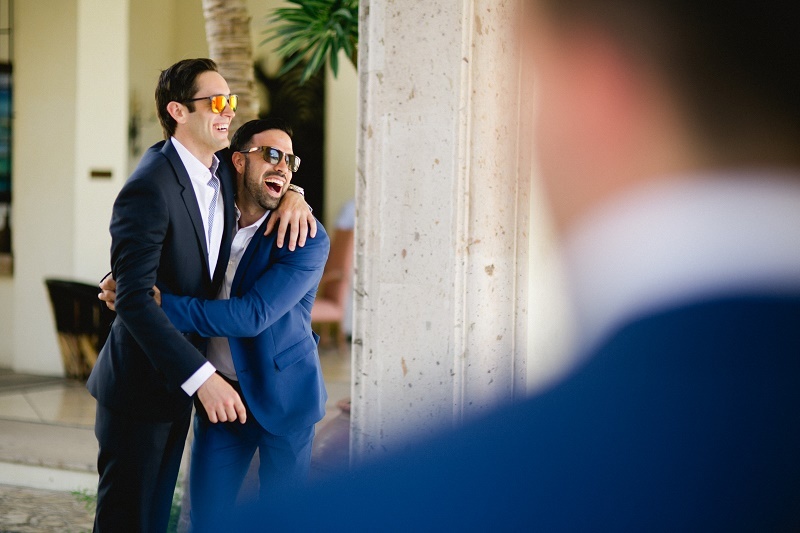 FRIENDSHIP AND SUPPORT are the hallmarks of a well-chosen bridal party and you can feel both in abundance in every frame. 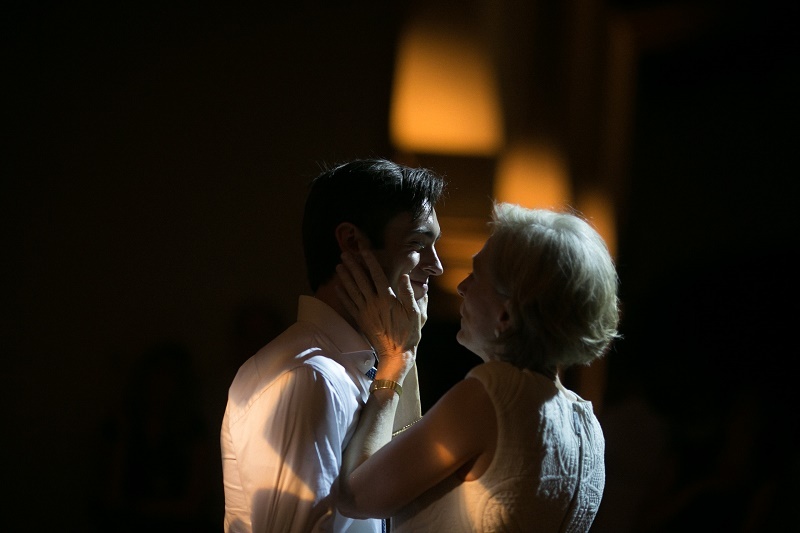 The love and laughter was a joy to see. 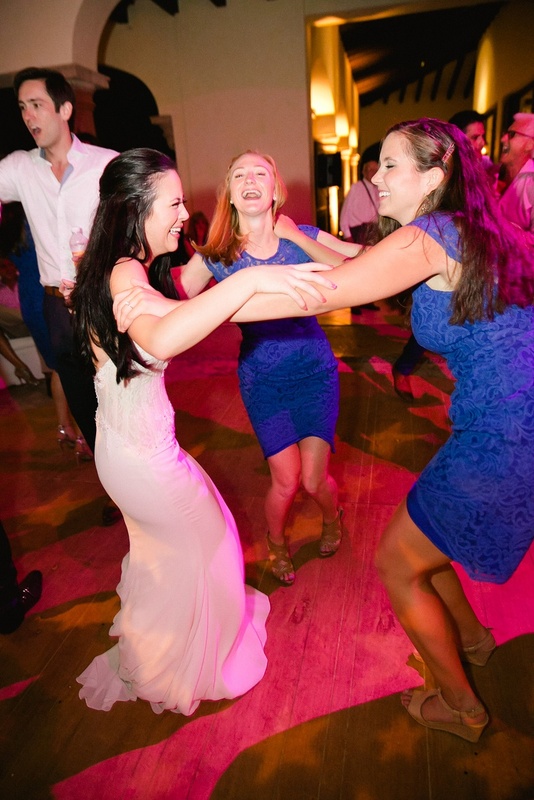 ALANNA WAS RADIANT IN EVERY PHOTO! 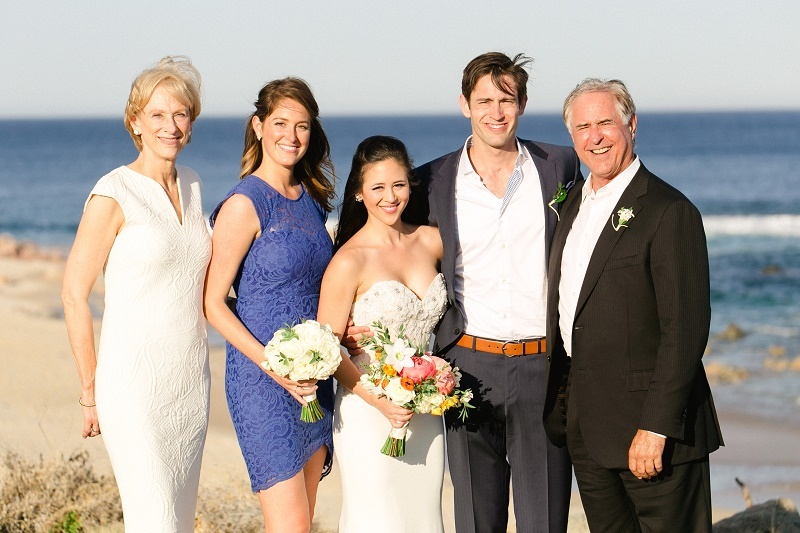 As it usually is, we had a very difficult time choosing which photos of Alanna to share as each one was more amazing than the next thanks to Chris+Lynn Photographers. Sensual, feminine, exuberant, all captured with apparent ease on both sides of the camera. This photo of Alanna and her mother is one of our favorites. 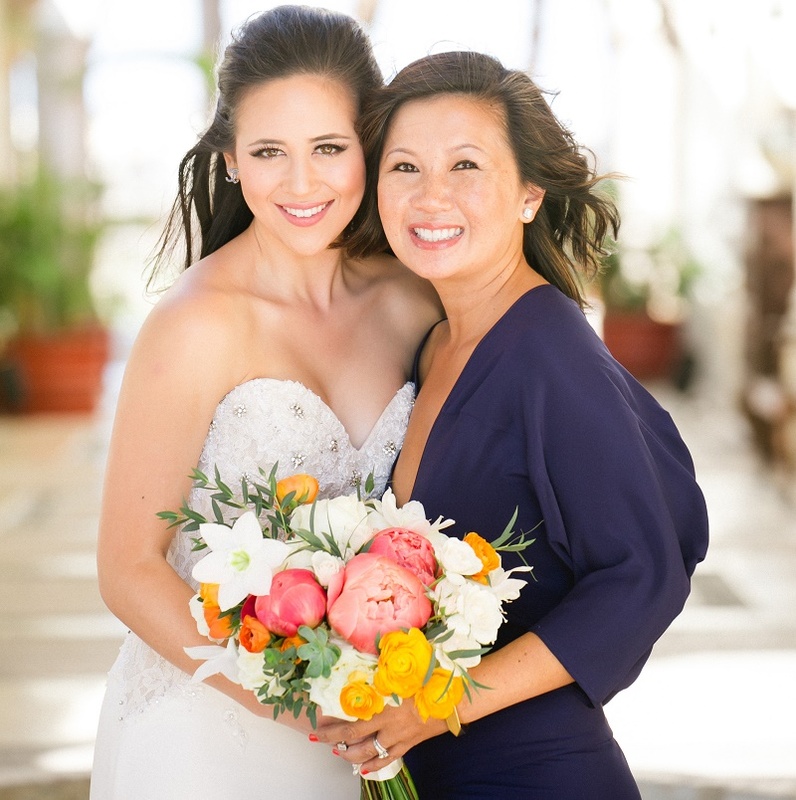 OUR DEAR ELENA DESIGNED A RUSTIC STYLE BRIDAL BOUQUET for Alanna that showcased the vibrance and purity of the occasion. 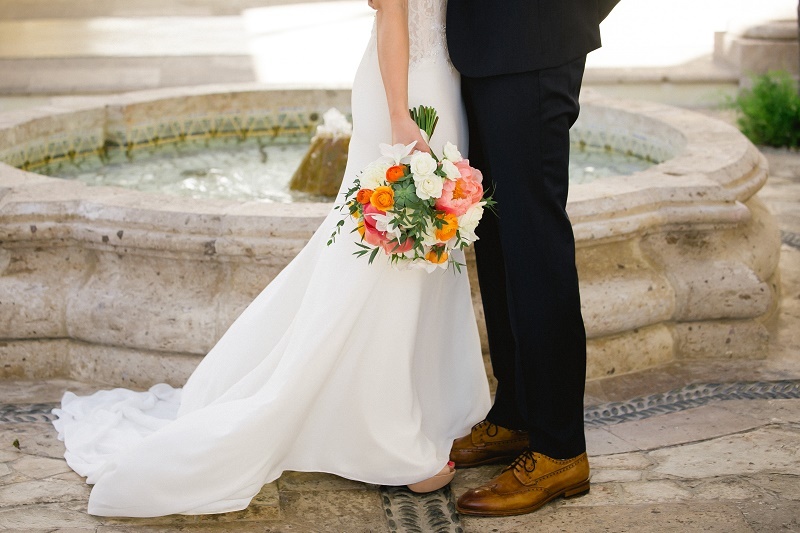 Fragrant coral peonies, golden yellow and tangerine orange ranunculus, minty green succulents, white eucharis, and creamy garden roses all blended together perfectly! 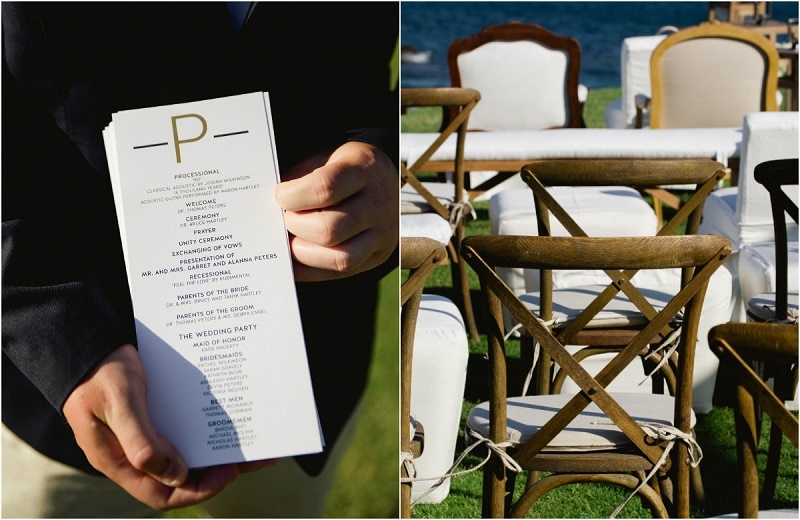 EVEN THE WELCOME NOTES GIVEN TO EACH GUEST reflected the tone of the happy event! 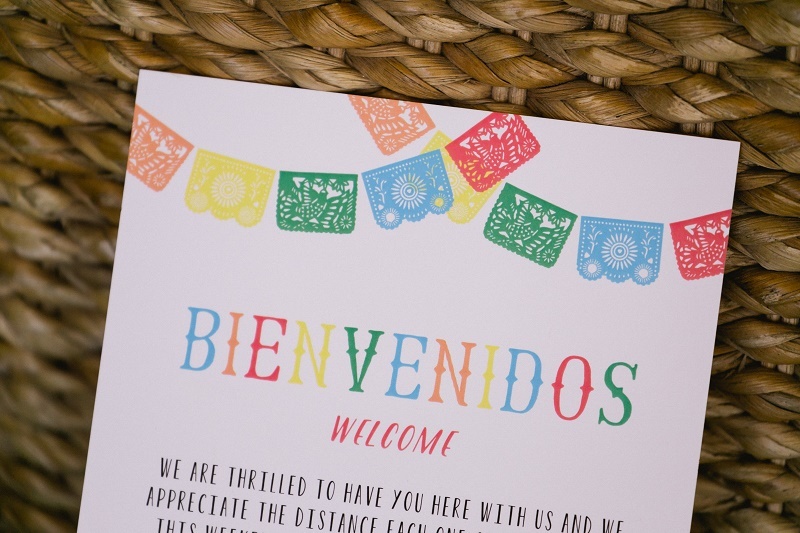 Warm and welcoming, with just a little flavor of Mexico! 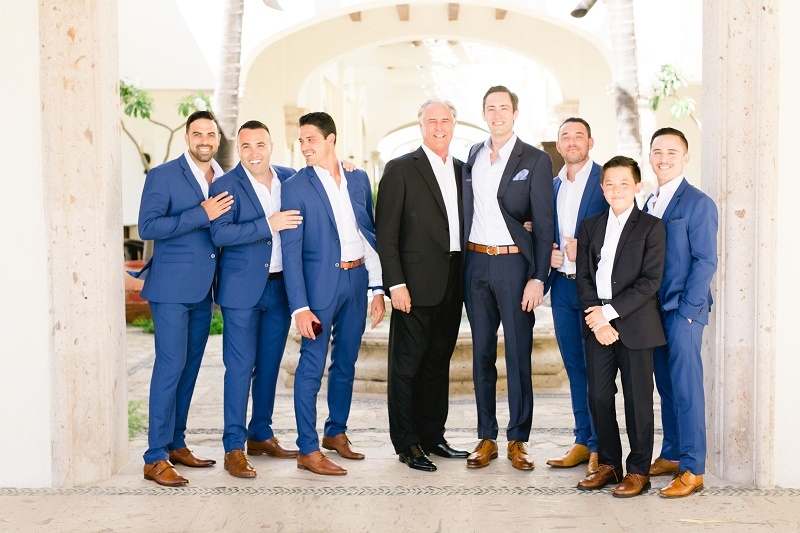 Below, Garret’s time with his father and groomsmen is another statement of devotion and support. 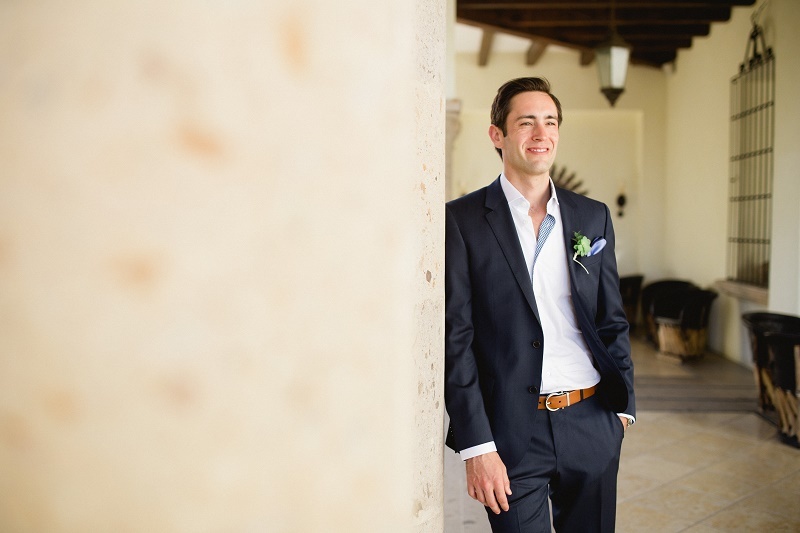 From turning to his dad for assistance with his pocket square to some rowdy toasts and well wishes, Garret was clearly in good hands. 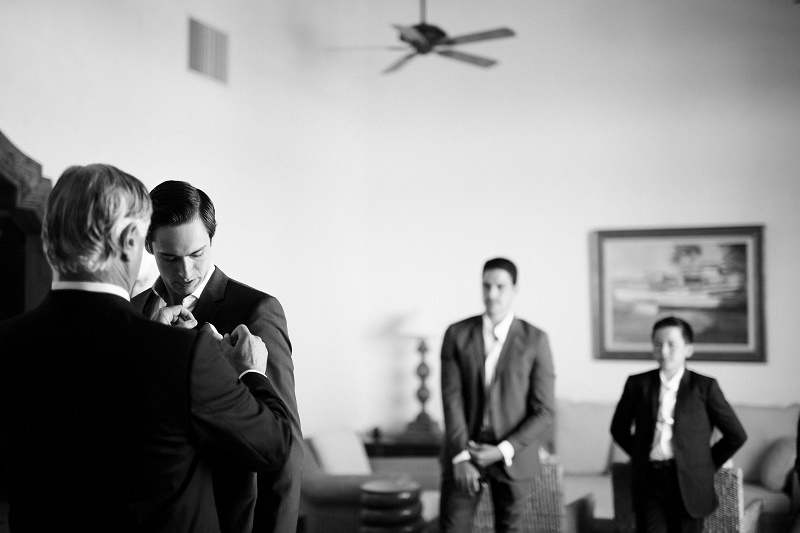 FASHION DETAILS AND MEN’S FURNISHINGS are never more important to a man than on his wedding day. 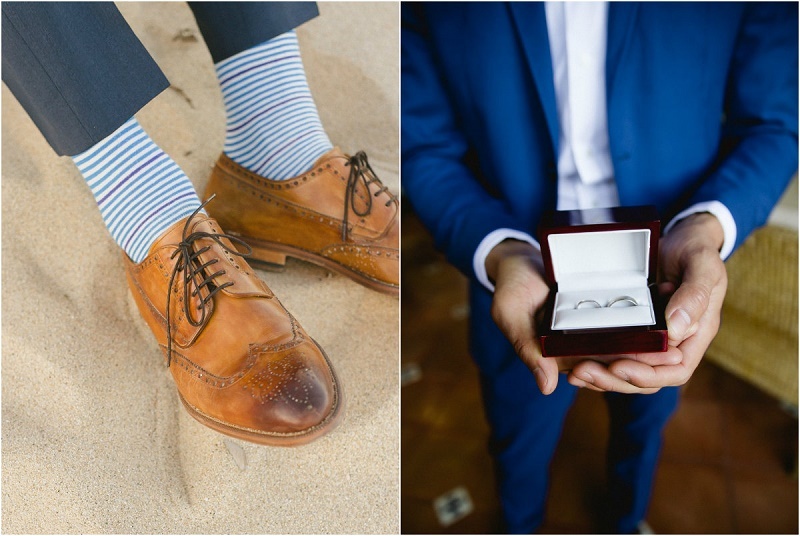 From his custom-made blue suit, striped socks and lace-up oxfords, Garret was in fine form. 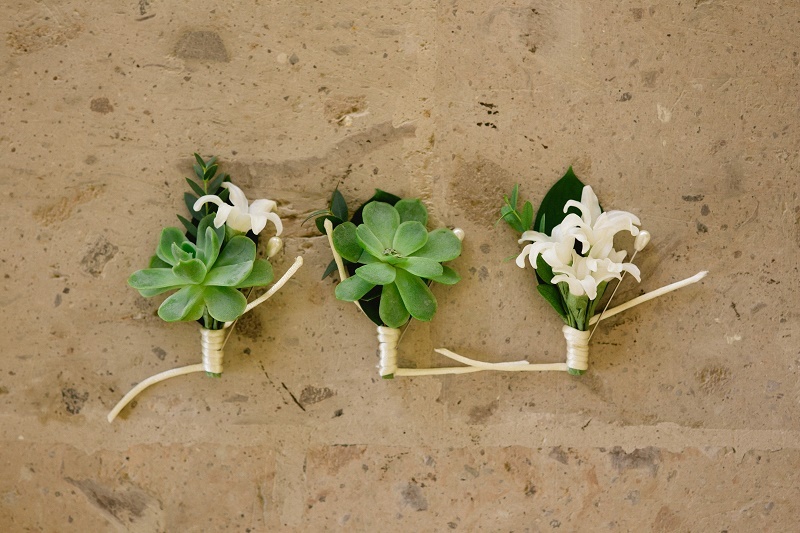 To accessorize for the special occasion, our floral design team created petite boutonnieres for each gentleman using tiny succulents and hyacinth blossoms. 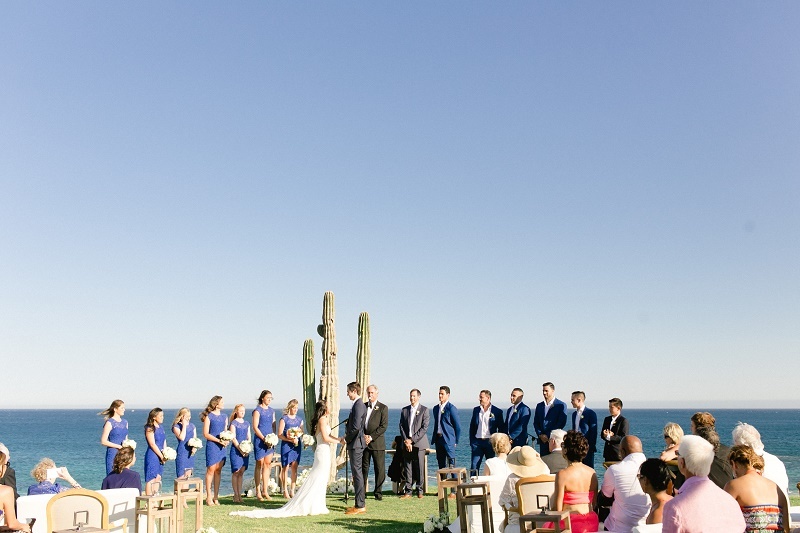 THE WEDDING CEREMONY took place on the picturesque lawn overlooking the Sea of Cortez, with the giant saguaro cactus marking the “altar” area. 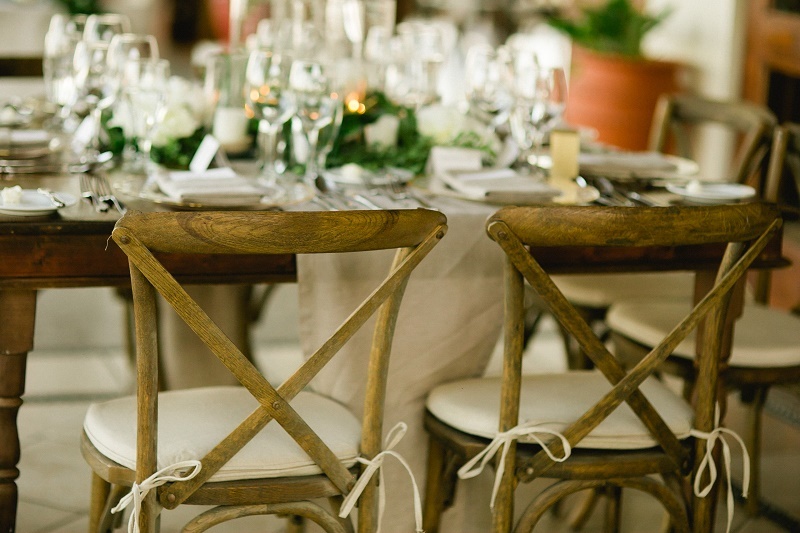 We layered rustic wooden chairs with white linen upholstered furniture and weathered wooden lanterns for a modern, Baja California-style environment. 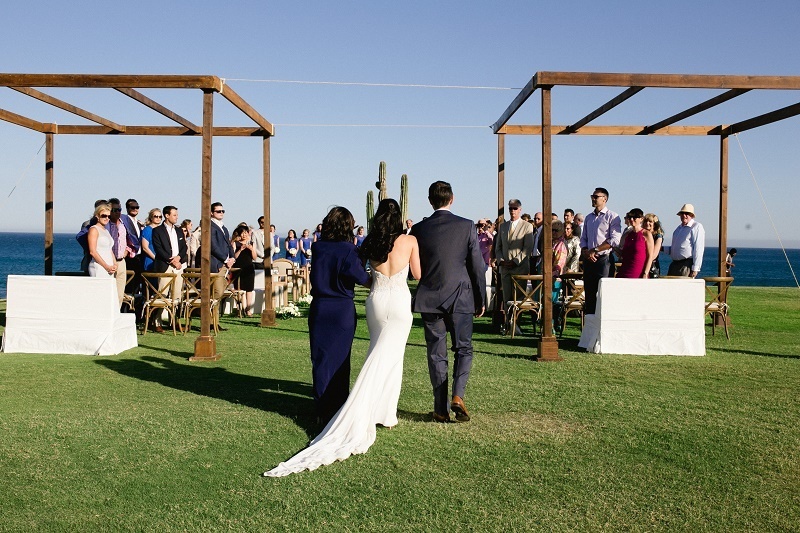 White roses and lisianthus, creamy spray roses and green succulents were placed in large groupings around the base of the saguaro cactus as well as with the large rustic lanterns on the aisle. 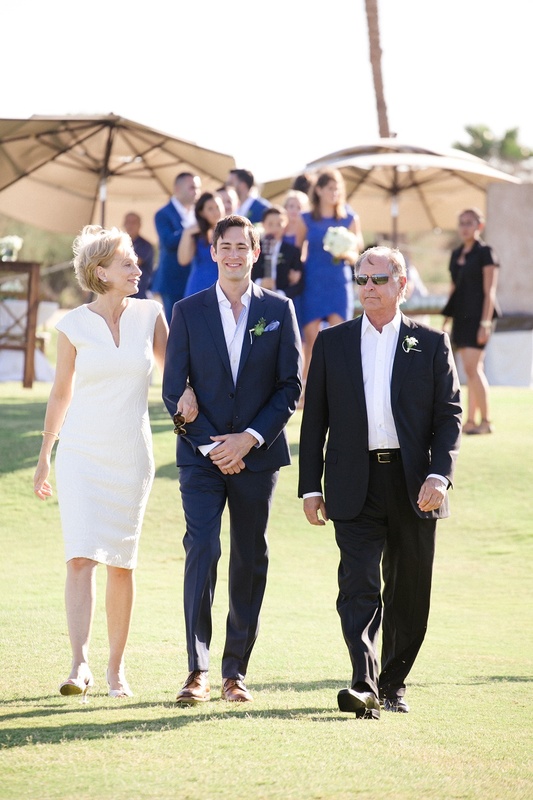 COLLABORATING CLOSELY WITH THE FAMILIES, we planned each moment of the wedding ceremony carefully and thoughtfully, making sure to include parents and siblings in meaningful ways. 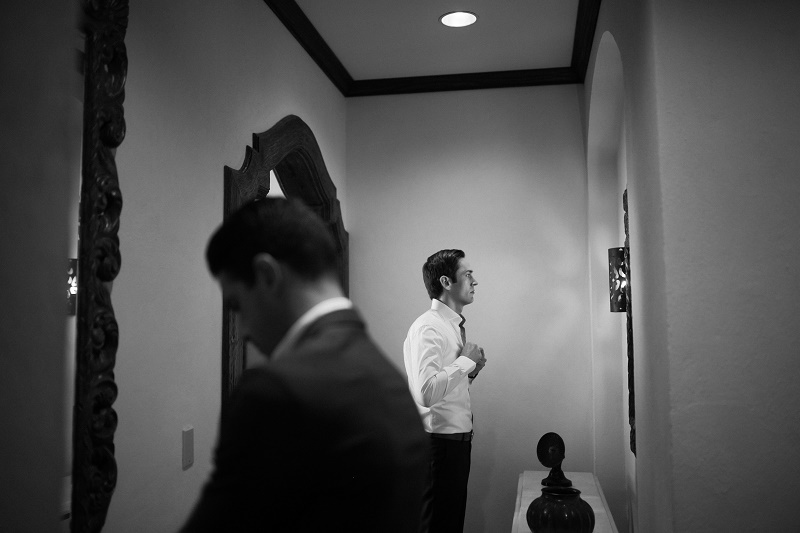 We find, for today’s couples, the groom’s entrance is just as important as the bride’s! 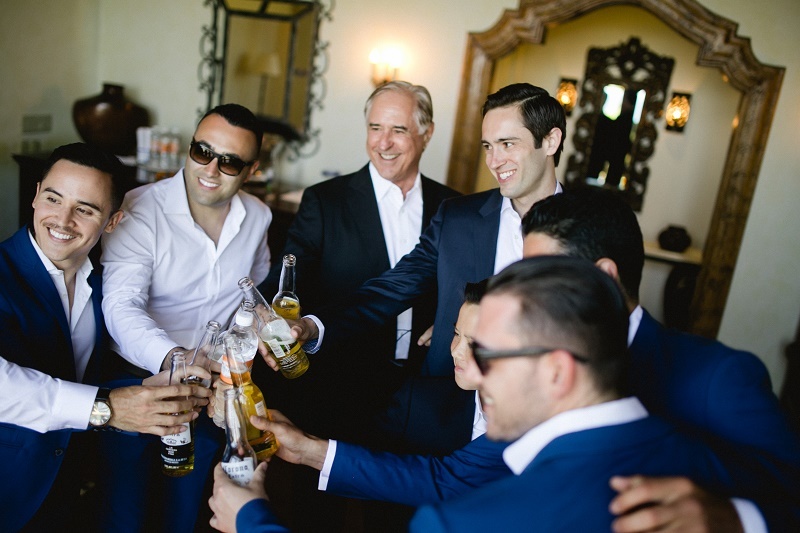 And, whenever possible, pairing the bridesmaids and the groomsmen together for both the entrance processional and ending recessional, helps on timing and confidence in large open spaces. Plus, having a man’s arm to hold onto when walking on uneven beaches and lawns is a wonderful thing for ladies in heels! 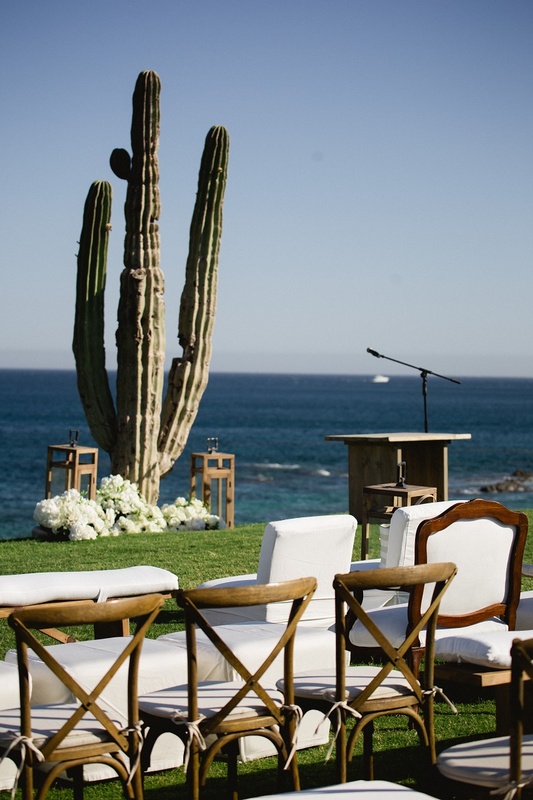 WHAT A DRAMATIC SETTING FOR AN OUTDOOR WEDDING! 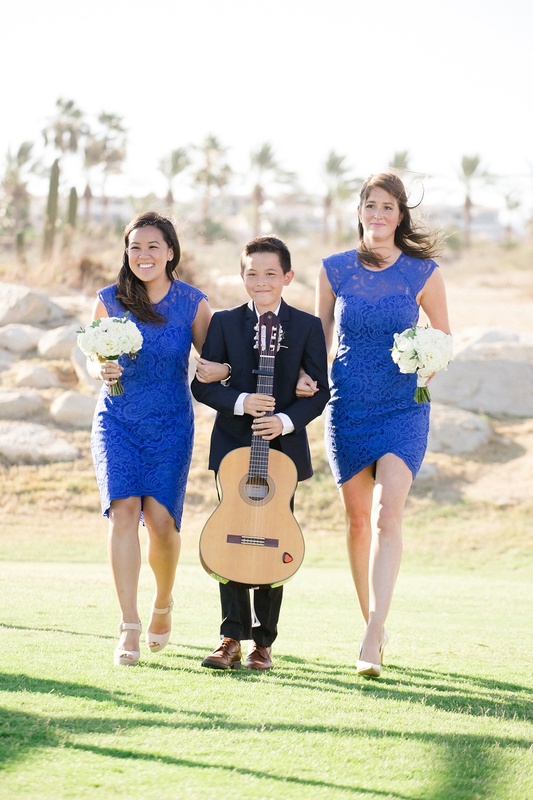 It was an incredible service, right down to the bride’s little brother playing the guitar to the symbolic sand ceremony. THE SMILES OF JUBILATION are wide and big on their faces! 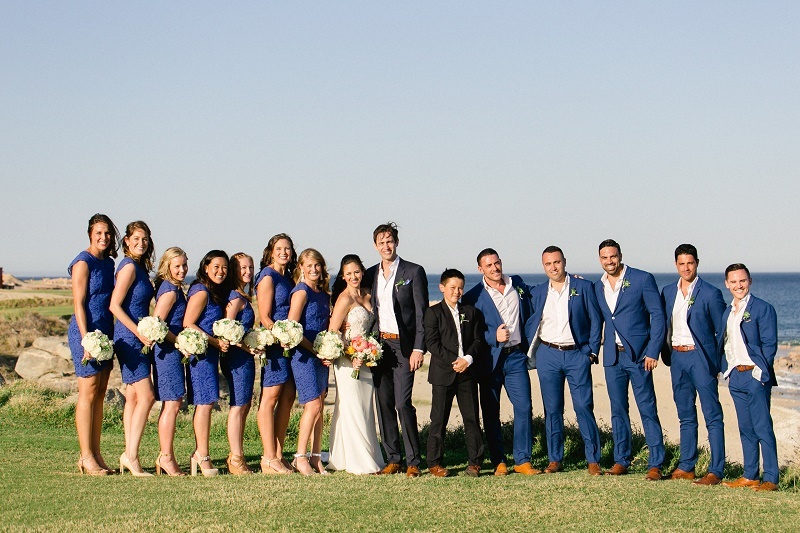 As their guests were invited to cocktails at the Clubhouse, Alanna and Garret, as well as their immediate families and bridal party, headed off for formal photographs. 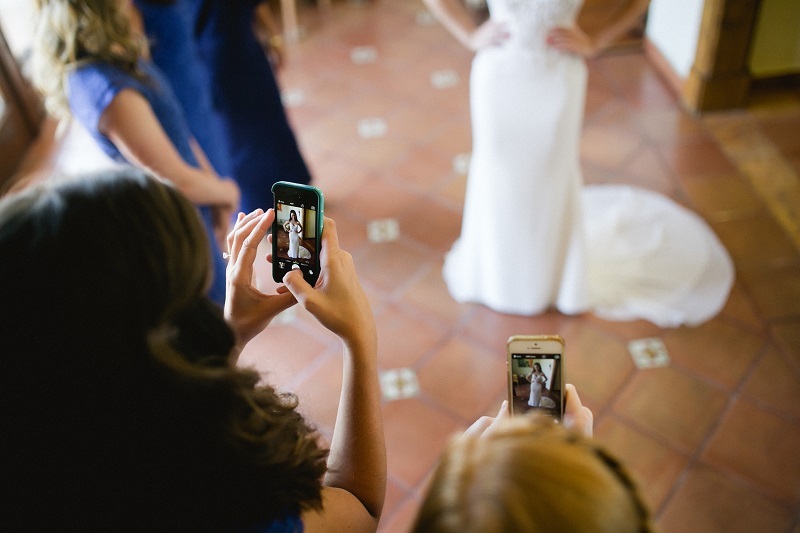 With the entire resort at their fingertips, you can see just how gorgeous their photos turned out! 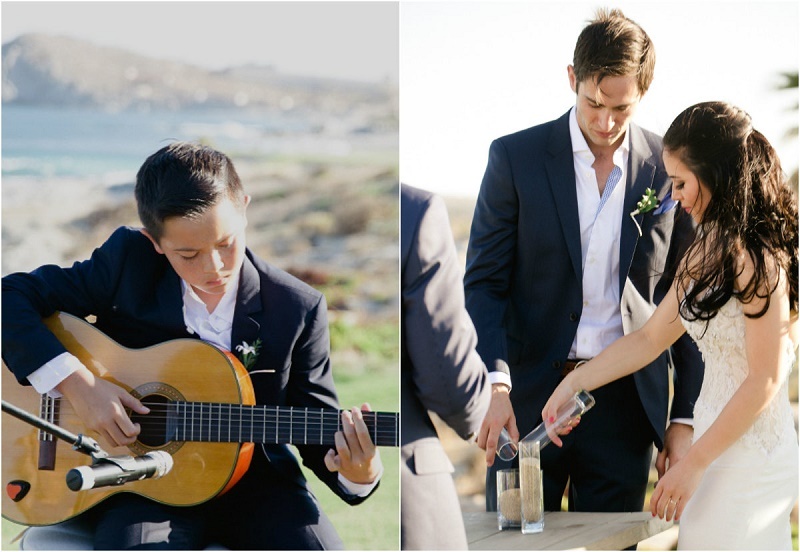 ONCE BACK AT THE CLUBHOUSE Alanna and Garret freshened up before joining their guests for dinner and dancing. 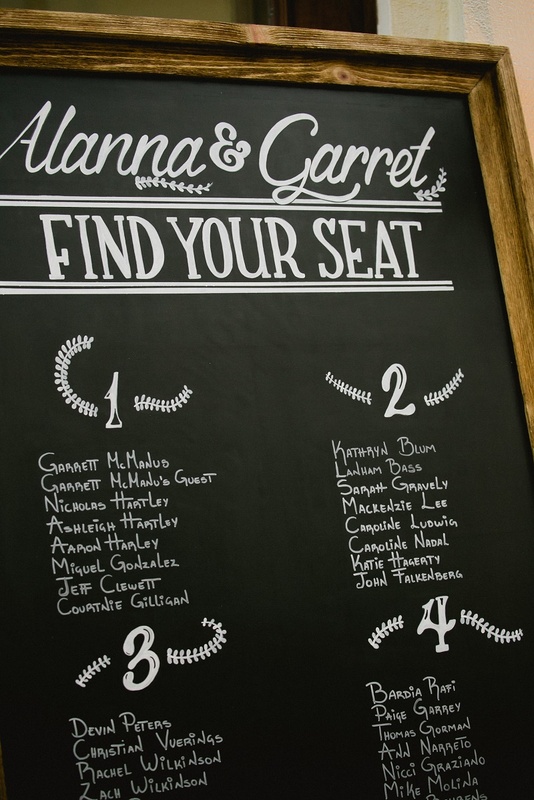 Friends and family were encouraged to sign the newlywed’s guestbook, and seating assignments were shared on a custom-designed chalkboard. 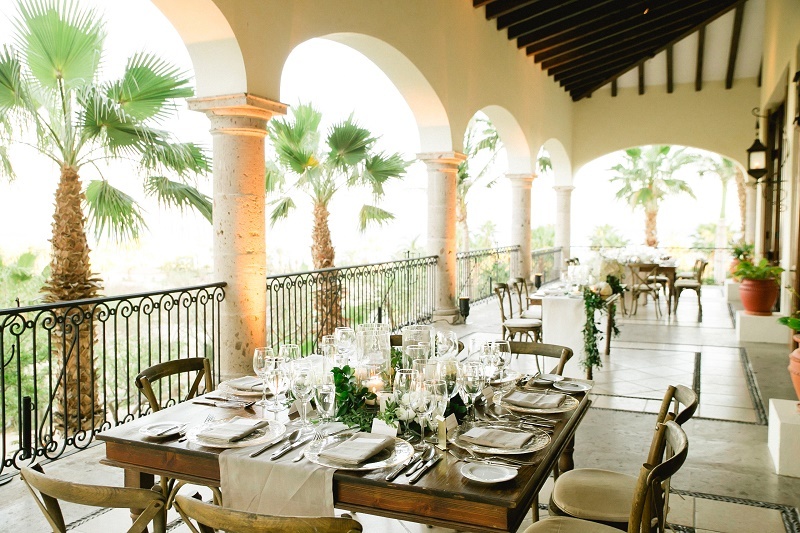 THE BRIDE ENVISIONED A STYLISH INDOOR/OUTDOOR RECEPTION with understated elegance in a neutral palette. 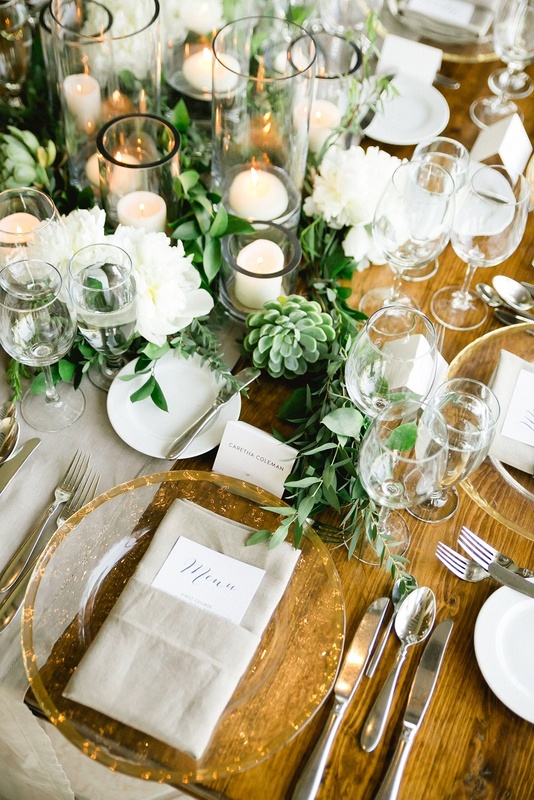 Elena created an environment that echoed the ceremony in tone and substance using lush low floral centerpieces with rustic wooden tables and vintage gold accessories. 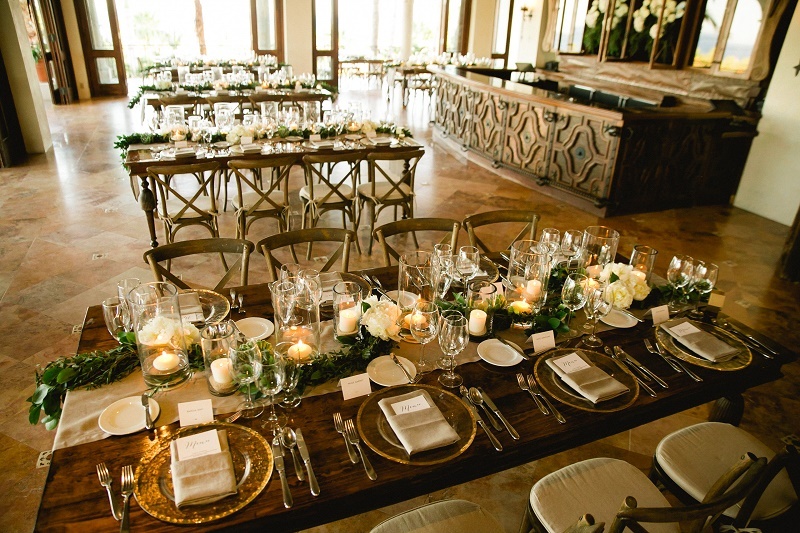 Modern glass hurricanes held ivory candles and together with the existing iron chandeliers and soft votives, the room was awash in warm candlelight when guests entered. 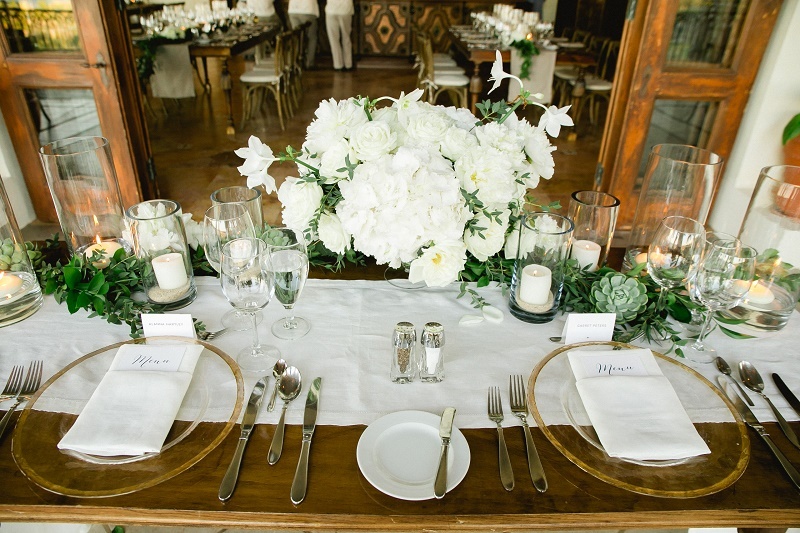 THE LONG RUSTIC WOODEN TABLES were perfect for creating loose, romantic floral designs with open roses, natural greenery, peonies, and succulents. 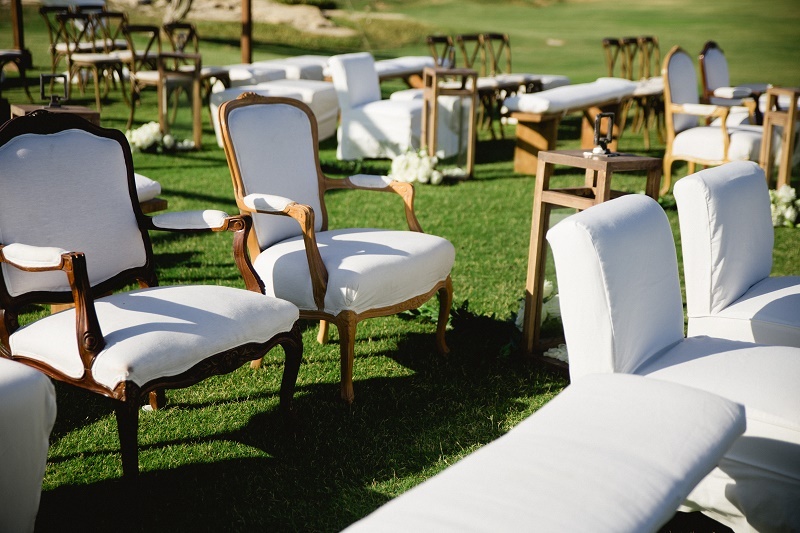 ON THE TERRACE we placed groupings of linen-upholstered lounge furniture for a relaxed living room feel to be shared throughout the reception. 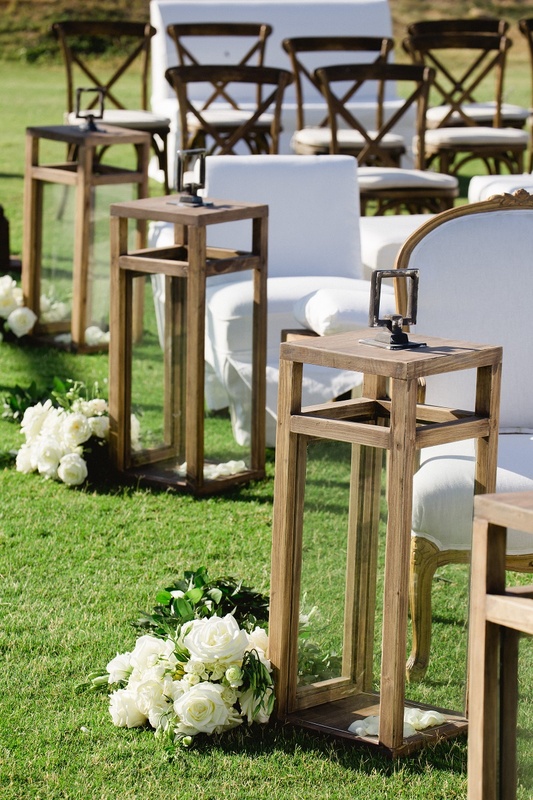 A sweetheart table, or table of honor as they are also called, was designed for Alanna and Garret in a central spot so that everyone could see them, and they could easily see their guests. 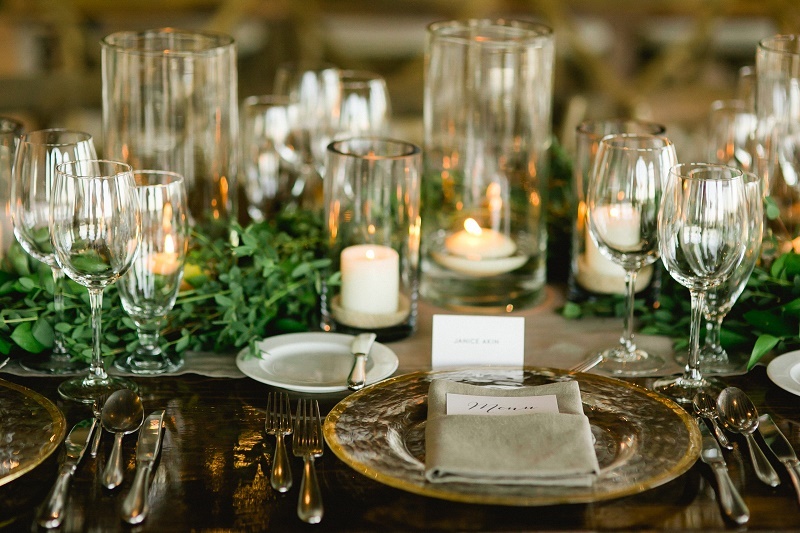 Elena created a lovely tablescape of flowers, succulents and floating candles for them to enjoy all evening. 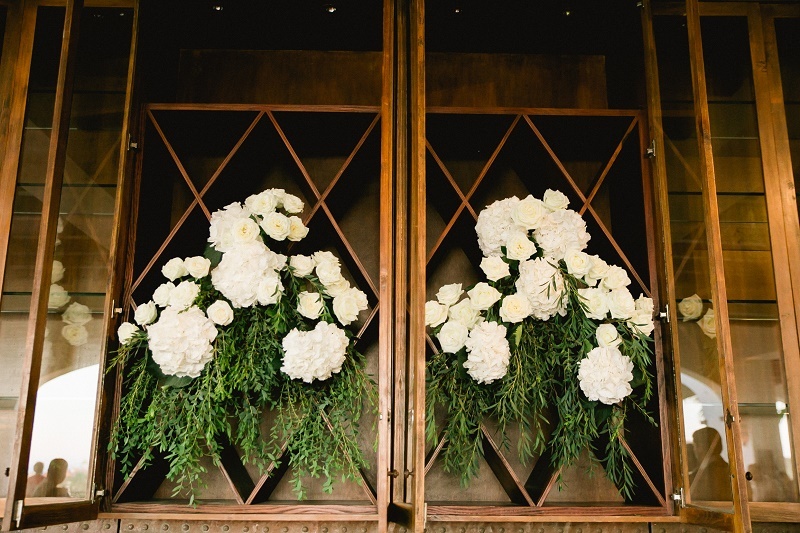 EVEN THE BACK BAR GOT DRESSED UP with a floral installation of roses, peonies, hydrangea, and greenery. 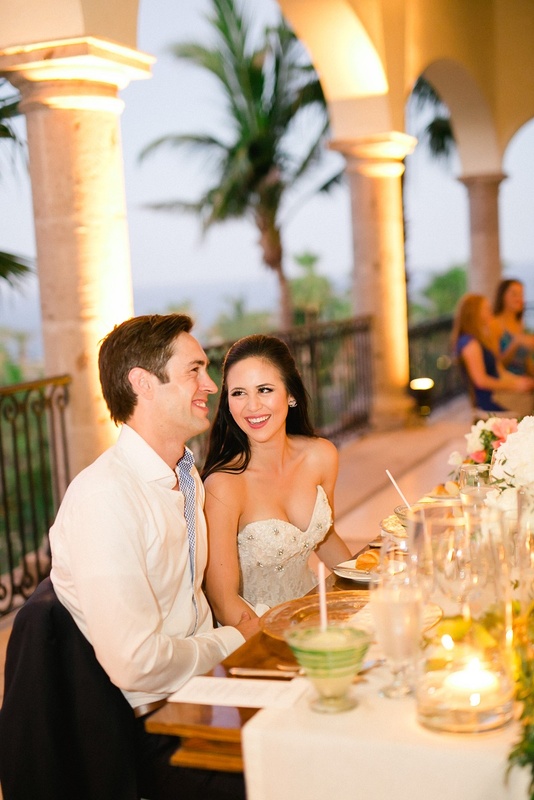 TOASTS AND CHEERS range out often during dinner, followed by the couple’s first dance, parent dances and general craziness on the dance floor! 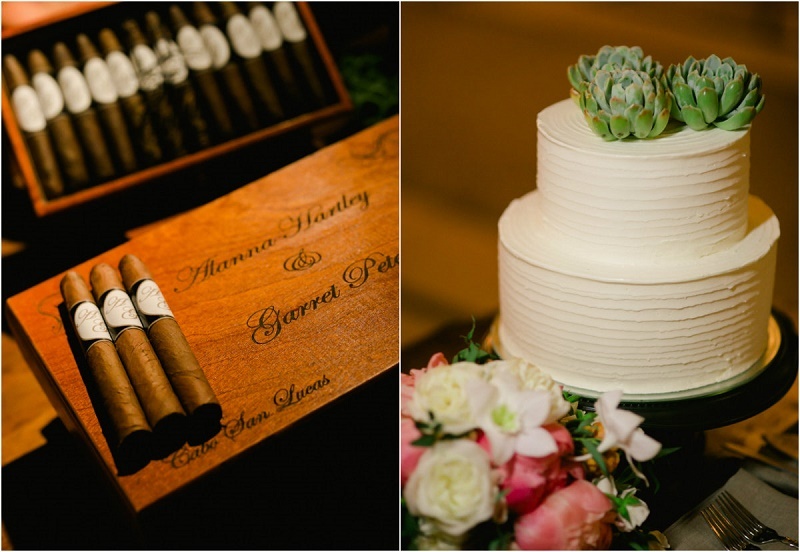 With the traditional cake cutting over, the cigar roller got to work and the evening was all party, party, party! 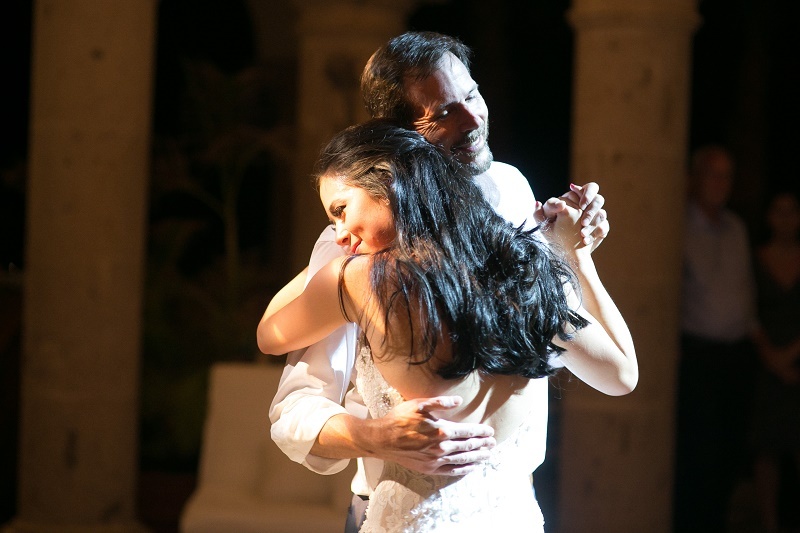 THESE PARENT DANCES were truly touching to witness. Both emotional, respectful and filled with love. 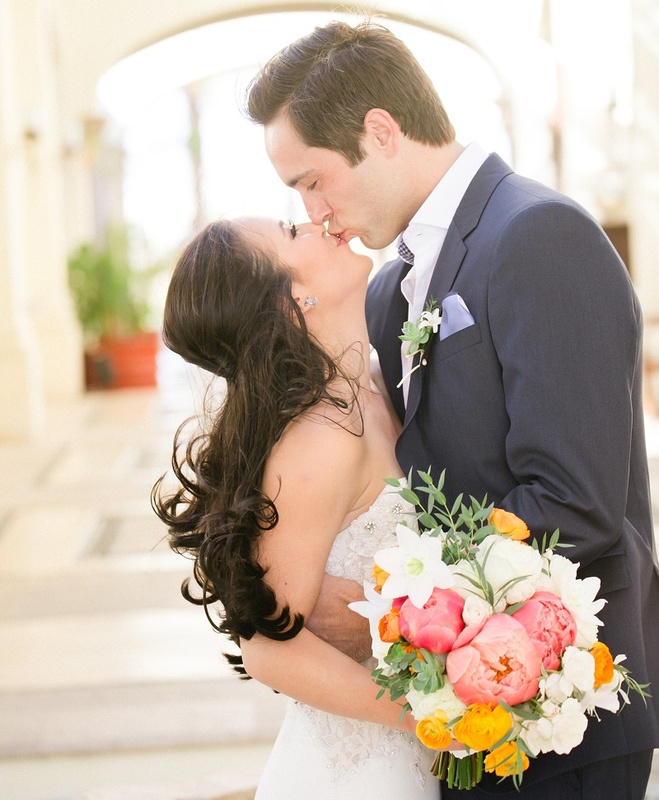 CONGRATULATIONS TO ALANNA AND GARRET! 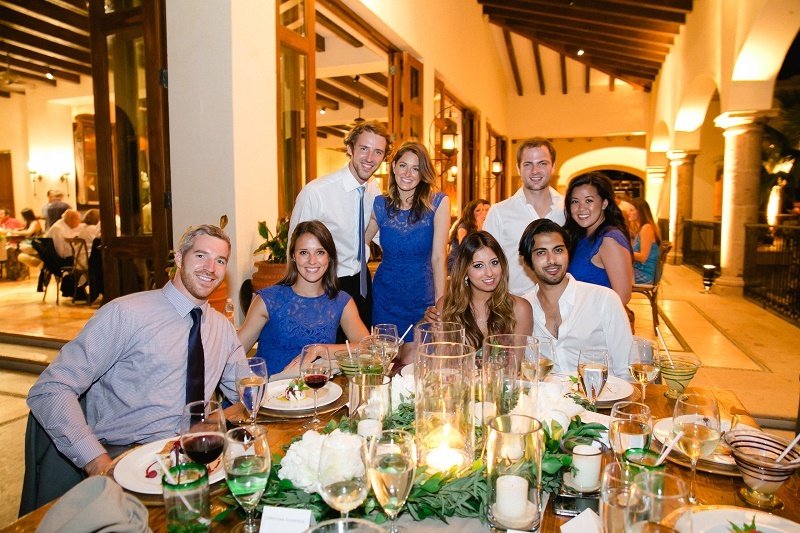 It was a true pleasure to plan and design your wedding and we thank you for allowing us to celebrate with you!